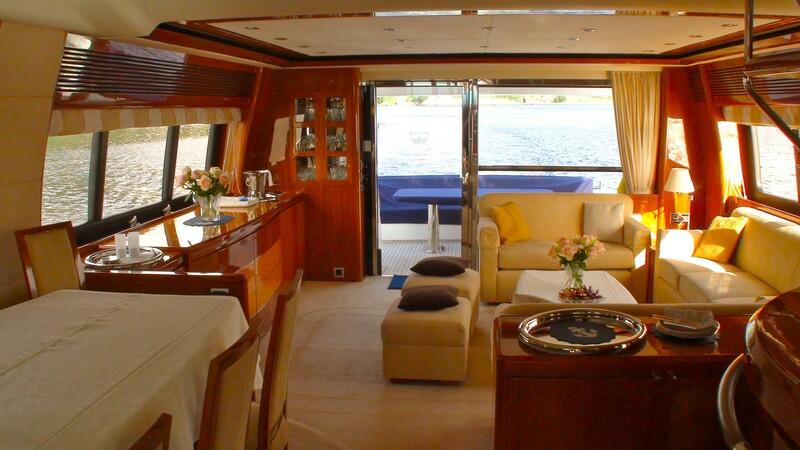 Motor Yacht ANNE VIKING is a luxury yacht built by the respected builders Princess Yachts in 2004, measuring 25 metres in length, and accommodating up to 8 guests in 4 lovely cabins. 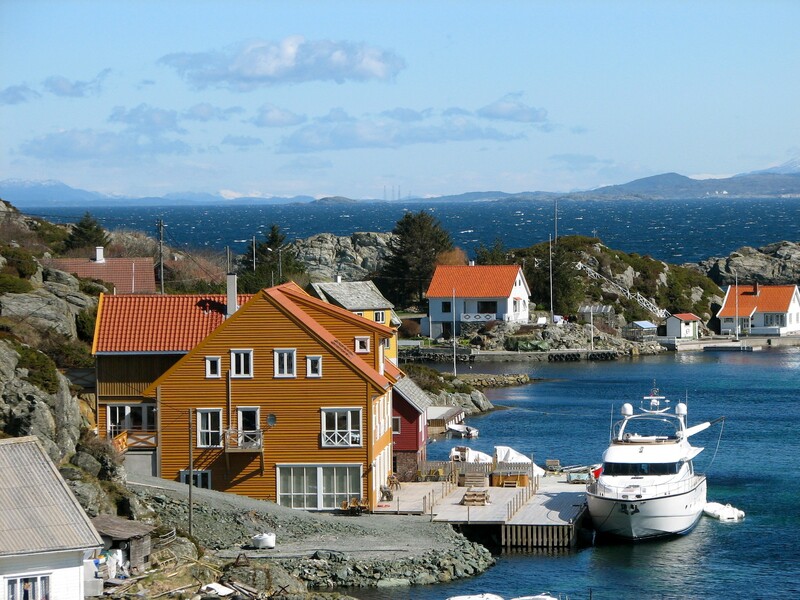 Charter yacht ANNE VIKING is based in Stavanger in Norway and will cruise through the spectacular Norwegian fjords and the many beautiful islands of the archipelago. ANNE VIKING has a contemporary interior, with cream carpets and high gloss wood cabinets, decorated mainly in neutrals with a scattering of beige and navy to add colour. ANNE VIKING has a comfortable main salon with large cream sofas and a flat screen TV, with a separate bar and dining area further forward. Charter yacht ANNE VIKING offers a range of deck space for outdoor living, with a comfortable dining area aft on the main deck, and a further sun deck where guests can retire to take some sun, or simply enjoy a drink with spectacular views. 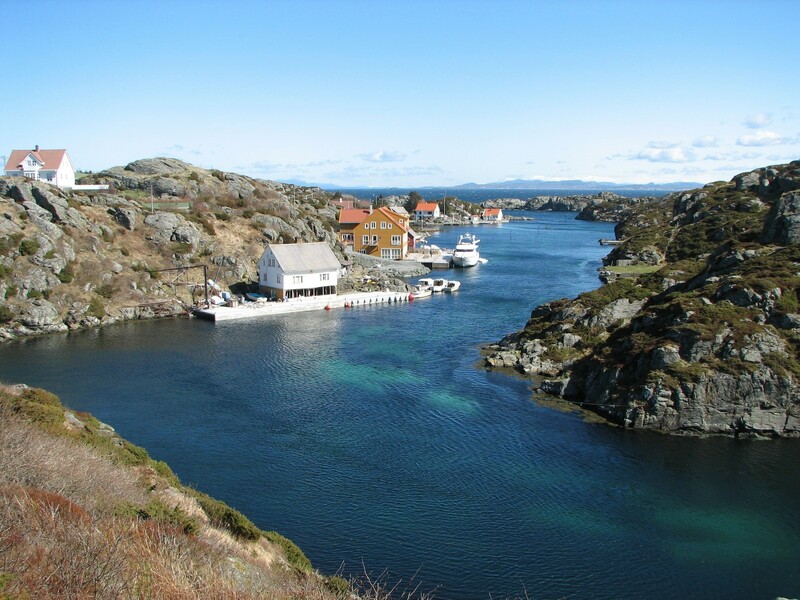 Motor yacht ANNE VIKING is well equipped with amenities including Wifi / Internet, TV, CD and DVD player, with well stocked libraries. 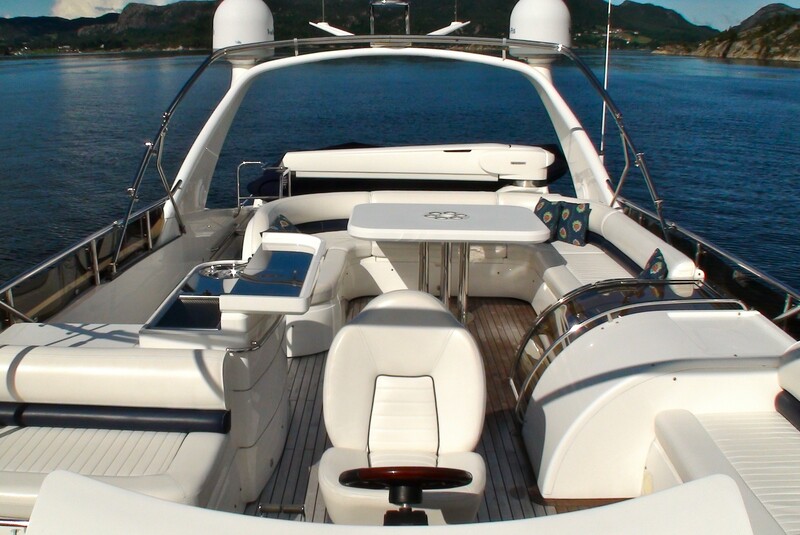 Motor yacht ANNE VIKING also offers a good range of water sports equipment, including an Avon 400 DL Jet Rib Tender, Water skis, a Donut, and 8m Little Viking Fishing Boat, Fishing Rods and Lines. Charter Yacht ANNE VIKING measures 25.72m in length, with a beam of 6.10m and a draft of 1.65m. 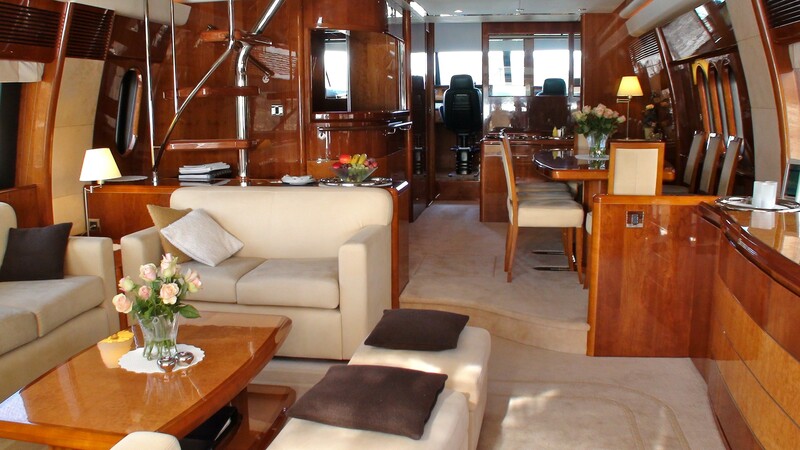 Motor yacht ANNE VIKING has 4 crew and cruises at an average speed of 20 knots. 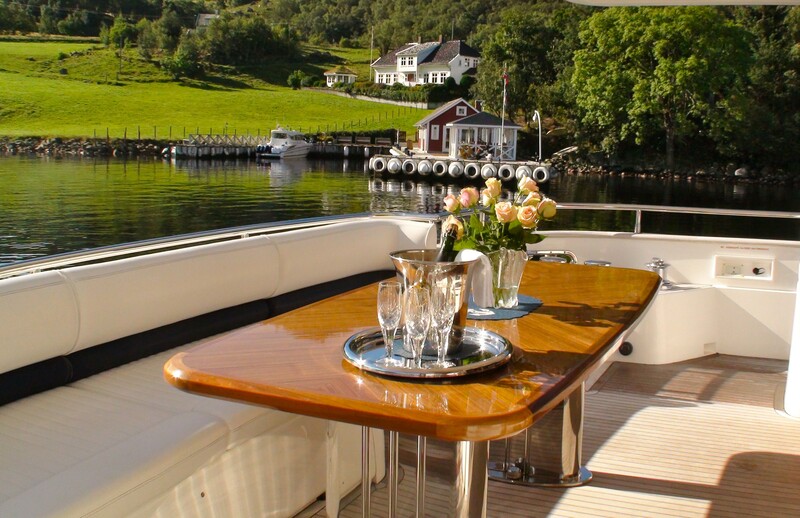 Charter Yacht ANNE VIKING offers accommodation for 8 guests in one Master cabin, one VIP cabin and two twin cabins, all with en-suite facilities.